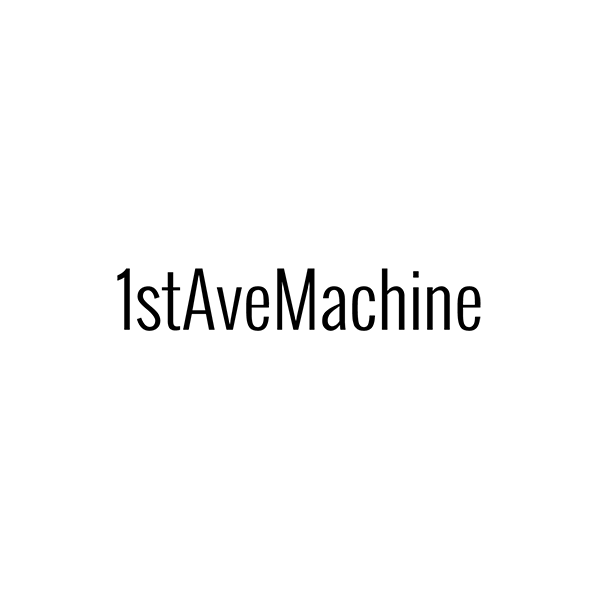 1stAveMachine has been producing award-winning video, digital and experiential content since 2004. As the company has diversified and expanded, one thing remains the same: a singular vision for stories to share. Aaron Duffy: Aaron join 1stAve in 2007, changing the landscape of the company. His first effort, Audi Unboxed, garnered our first Cannes Lion. His work for Google Speed Tests brought seven more into the pride. In 2015, Aaron was named first out of the “30 Most Creative People In Advertising Under 30” by Business Insider. Aaron’s experimental and collaborative efforts are always geared towards making human connection, regardless of technique, as can be seen in his Super Bowl spot, Google Parisian Love and his viral music video for OK Go. Alessandro Pacciani: Since beginning his filmmaking and VFX career aged 15, Alessandro Pacciani now has over a decade of experience in the commercial world, earning a reputation for seamless integration of live action with photo-real CG, all while maintaining his trademark cinematic style. His epic and bold style can be seen in his work for BMW and Lamborghini, while the hauntingly beautiful trailer for video game Dark Souls II have recieved international acclaim. Alessandro is an Italian director based in Tokyo. Andrew Sloat: Andrew’s love of the “theatre of typography” is reflected in his installation First Amendment, when his work took over Times Square. Recently, Facebook asked Andrew and Aaron to explore the meaning of love in Love is for Sharing. When not teaching RISD, he shares his talent with brands like Google, Amex and The New York Times. Arvind Palep: Sixes Last and the 1AveMachine promo film from director and co-founder caught the industry’s attention for his fresh approach. Arvind combines cinema vérité with exquisitely designed and animated machines, both robotic and biological, like Ted. The films garnered the attention of 180 Amsterdam, who commissioned his first commercial, Adidas Modular Man. Arvind is current creatively leading 1stAve’s newly opened LA office, while working on his narrative projects, including his first feature film and sci-fi short, Arvind Palep’s Vision for NYC 2050. Asif Man: Asif’s creativity is bold and unforgettable, from commercial work, to music videos, to sculptures, Castello showcases Asif’s ability as a sculptor. for its sculptural use of design and the human form. Asif also has an uncanny ability to engage viewers with unconventional storytelling and clever slight of hand, creating physical magic for Ford CMAX. Isaiah Toothtaker & Rapewolf he hilariously channels the soul of disaffected youth. For slightly lighter fare, check out his video for Klo Pelgag. He often blends fact and fiction, by casting non-actors and pushing narrative boundaries. This ultimately results in work distinctively marked: Baz. Ben Steiger Levine: Ben’s films often border on bizarre and beautiful, through clever re-imagination of the human form. Ben’s work for Sprite was inspired by his music video, So Called. Ben’s work for Beast was featured at the S&S New Director’s Showcase, ADC Young Guns, and earned him a Grammy nomination. His recent work includes Kellogg’s and his recent collaboration with Martin Allais for Samsung, which won a Bronze Lion Award at Cannes 2015. Bob Partington: Bob’s unconventional approach to invention, fine art, and engineering captured the hearts and minds of 1stAve from the very first meeting when Bob was the designer/fabricator on Google Speed Tests. Sure that Bob’s unique talent and childlike curiosity was meant for more, 1stAve conceived of and produced a show on celebrating the same, History Channel’s THINGAMABOB. Bob’s unique thinking has produced some great projects for Google Maps, Google Fiber, and OK Go’s The writing’s on the wall. D.A.D.D.Y. : D.A.D.D.Y. aka Mike and Enda, are comedy gold as their Daily Million and more eccentric Project Haha films attest. More than funny guys, their cinematic and sensitive sides permeate their beautiful Christmas film for Spar. In fact, these renaissance men are also the published authors of the serious scientific tomes, 100 Facts about Sharks and 100 Facts about Pandas, available from Amazon. Emmanuelle & Julien: Emmanuelle & Julien know comedy. Emmanuelle, an incredibly talented character designer, and Julien, an expert 3D artist, first gained massive attention for A La Francaise – a film about the 17th Century French aristocracy, portrayed as stuffy, slightly hedonistic chickens. Another short film, My Dear Gnome, continues to showcase their talent for both intricately designed and witty work. The duo has brought the same subtle humour and expression to their commercial work, notably this colourful spot for Surf. Karim Zariffa: Karim brings a background of design with a love of craft in these engaging works for Little Bits and Koodo. Working with multiple formats and technologies, his work showcases an understanding of in-camera magic like in Air Canada. His work has earned him recognition at the Gemini Awards in 2011 and the ADC Young Guns in 2010. Karim also collaborates each year with famed graphic designer, Stefan Sagmeister. Get a glimpse of their collaboration in the film, Misteur Valaire and The Happy Film. Marc Reisbig: Never one to be confined to a single technique, Marc glides easily between stop-motion, CG, illustration and live-action; his dexterity on full display in films like Jamie’s Dream School. Always up for a new technology, he’s even made a film using 3D Printing, Brooks. A Norwegian by birth, Marc’s Scandinavian design sensibility is a constant throughout his work, as seen in this charming stop-motion film for Oslo Airport. Martin Allais: Martin Allais thrives on experimentation while maintaining a tradition in traditional cell animation. His work, like IBM BONES and Oreo Wonderfilled, push the boundaries of genre with bold, imaginative visuals and singular character design. In Facebook Love demonstrates Martin’s mastery of mix media animation. His recent collaboration with Ben Steiger Levine for Samsung won a Bronze Lion Award at Cannes 2015. Maxime Bruneel: 30-year old Bruneel is a prolific filmmaker. Whether it’s shooting a music video for a friend’s band or holed up in a studio making stop-frame animation for a client, his drive to create new work is never-ending. The result is an impressive, inventive and diverse catalogue of work, as can be seen in two of his most recent films; a live action video for French brand Mennen and his now infamous promo for TT, Diplo and Schwick, Dat A Freak, which he painstakingly roto-scoped each frame to create. Nico Casavecchia Nico captured a Gold Lion (and set a World Record in the process) with his atomic film for IBM. Nico’s style crosses genres and mediums. His film Buildings and Vampires is a nod to Where the Wild Things Are. In contrast to that sweet homage, his work also includes the uber edgy film Slamdance and his subversive Salesman. Recently, Nico collaborated with Roman and Tomi to bring to life the acclaimed Sonos campaign. Roman Rütten: Roman’s Vision Express showcases his unique approach to mixed media projects. The spot’s Behind the Scenes illuminates the complex layering of live action unique to Roman’s work. More mixed-media work includes, “Spirit of Innovation”for Hyundai and the acclaimed Sonos campaign, a collaboration with Nico and Tomi. Sophie Gateau: Since Sophie Gateau’s transition to directing from the fashion industry, clients ranging from TED to Moen have sought out her innovative visual approach and charming tone. Her training in Architecture, Graphic Design, and Film Direction have endowed her with a special perspective on space and volume. Innovation is key to Sophie’s aesthetic, and she is constantly adapting to newer technologies in order to harness their creative capacities. Make sure to check out her work for Adidas. Tomi Dieguez: Diesel’s Assland brought Tomi to Cannes for the Saatchi & Saatchi New Director’s Showcase. Diverse and fearless, Tomi conquers in camera live action tasks for MOTO E and fabulous graphics for Be Like Mike for Gatorade. Tomi also directed the very popular web series Gluko and Lennon. Tomi’s most recent effort pairs him with RPA LA to show off Honda Pilot and 72&Sunny on Sonos. Tronco: Founded in 2014 by Tomi Dieguez, Antonio Balseiro, and Lautaro Brunatti, Tronco was conceived as an audiovisual factory with a focus on experimentation. A specialist in mixed media, their projects fuse a wide variety of techniques — from traditional 2D animation to stop-motion, 3D, photoreal CG, and even puppetry. Buenos Aires-based, their work for clients such as Gatorade and Sonos, showcase their ability to seamlessly integrate various mediums, while their work for Nintendo and Panera Bread feature their unique spin on traditional techniques. Ubik: London-based director duo Ubik is made up of the combined talents of established animation and live-action directors Nick Losse and Stephen Dalton. Over the years, Ubik have worked with a multitude of clients and collaborators from the worlds of advertising, broadcast, film, print and music to create work with a common thread and ethos. Their beautiful work for Late Rooms and MTV showcase Ubik’s eye for visual storytelling, while their films for HoyHoy Health feature their talent for CG-character design and performance.